The other day I had the opportunity to have lunch with an old friend. When I say friend I should really say teacher, mentor, guide, or adviser when speaking about this particular guy. 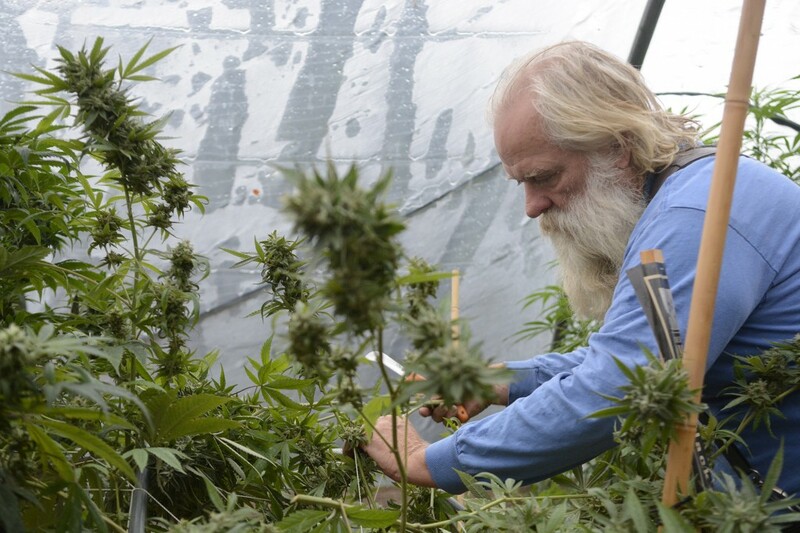 He taught me every useful thing I know about growing cannabis. 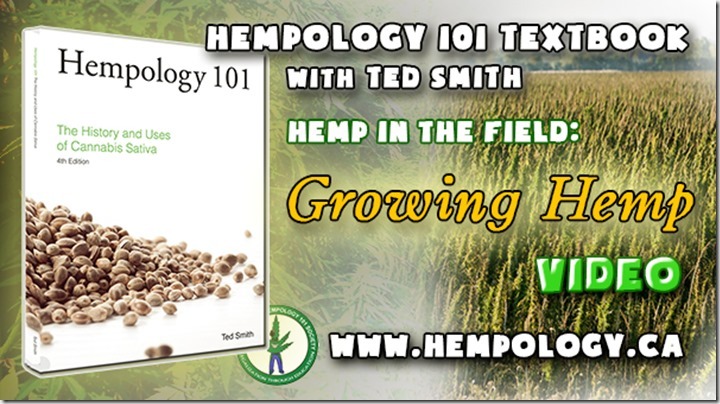 Of all the people in the business that I have known over the years he is without a doubt forgotten more about the plant and it’s production than most growers will ever know. From developing exclusive strains for clients like a certain group of motorcycle enthusiasts, to testing new chemical fertilizers for budding companies, my friend knows just about all there is to know about the cannabis scene. Historically, his involvement goes back to the days before there was even a hint of an industry in BC and he has watched his farm boy passion become not only the passion of thousands of growers all over the country, but an industry that will change the world. In a 2013 article Macleans magazine stated that we were nearing the 1 million mark for marijuana related arrests in Canada. Everything from simple possession to production for the purposes of trafficking is captured in that number, but starting in 2006 when the Conservative Party of Canada came to power cannabis related arrests have jumped up by 41%. In the six years between 2006 and 2012 police reported more than 400,000 marijuana arrests. In other words, in the six short years that the conservatives have held power the police have arrested the equivalent of the population of the city of Victoria, BC. for the use, possession, and production of a harmless plant. My good friend is one of those numbers, hell, I am one of those numbers, and statistically you or someone you know is as well. How those numbers translate in the current schizophrenic situation we are in with regards to cannabis and it’s accepted use in our country is confusing and still a dangerous area socially. Public sentiment leans towards legalization and even though big business has begun to take the necessary steps to legally deal marijuana to the Canadian public, thousands of convicted cannabis users, and especially former cannabis growers, carry the stigma of a criminal conviction which has devastating effects on their everyday lives. You see, despite the fact that my friend is an amazing intelligent man with an abundance of skills and limitless ability, he cannot get a job in the “straight” job market. Even now, as legal cannabis production and retail sales are slowly being legitimized and L.P.’s are hiring experienced former growers to help birth the legal commercial industry, my friend cannot lend his experience and knowledge because required routine criminal records checks will reveal his cannabis production conviction and keep him unemployed. It’s really simple quiet prejudice, and a violation of our human rights to keep someone from working because of something done in the past. Barring pedophiles, thieves, murders, and the occasional political figure, someone’s past has very little to do with someone’s present. Ignoring a persons skills and talents because of the past is foolish at the very least, and cheats us of so much talent and ability. From a purely HR stand point let’s look at what my friend has to offer a potential employer in terms of the easily transferable skills he has developed as a commercial cannabis grower. 1. A demonstrated ability to self educate and to embrace the concept of lean operations and continuous learning. Who doesn’t want an employee who can teach themselves and continuously tweak and upgrade their performance. 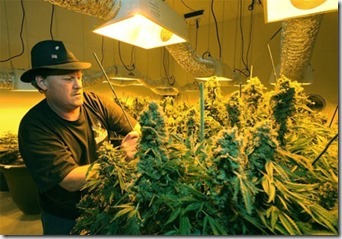 As a grower there are no university courses to teach you how to make a garage, basement, or barn into an effectively profitable cannabis production facility. You have to figure out how to adapt your space yourself. It takes concentration and adaptability to design and then dial in your grow. Especially when taking into account all the unusual circumstances that running an illegal business in a converted space presents. Continuous improvement is the way you do the dialing, examining your processes and ‘leaning’ them to maximize profits. 2. Costing, budget creation, project planning and purchasing skills. 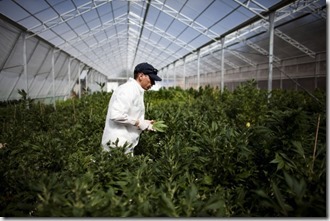 Starting from scratch in the cannabis business is a tough row to hoe. Equipment is expensive and when you add in rental of your space, cost of your clones, fertilizers, growing medium, and the scientific measurement equipment like PH meters and PPM pens you need, your looking at some significant costs that have to be carefully managed if you are to be successful. These management skills are directly transferable to just about any industry that makes or builds anything. 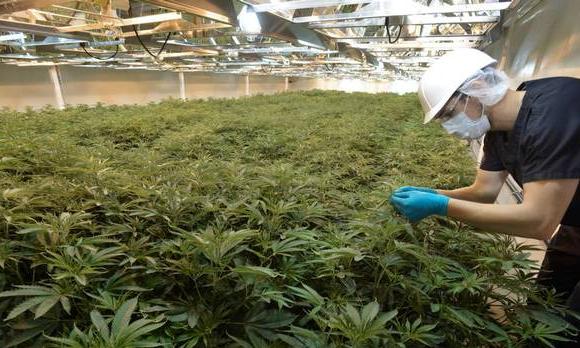 Savvy purchasers and project management people are valuable, and commercial cannabis production is as involved a process as any number of legal processes from injection molding to house construction. 3. Facilities & production management skills. Commercial gardens are complicated to run, what with developing schedules for cleaning, planting, harvest, fertilization, cloning, pruning, general maintenance, and safety checks it takes mad skills to multi task, and anticipate possible issues. You have to be observant and in the moment every time you step into the garden in order to catch problems before they arise and destroy your profit. Strictly adhering to best practices when preforming any of the millions of duties that running a successful commercial garden demands takes dedication and focus. I think it’s safe to say that the major players in any industry need dedication and focus. 4. Sales, marketing, distribution, and packaging skills. It’s all fine and good to make some pounds of weed but what you do with them afterward kinda matters. Cannabis like any other product has to be marketed and distributed through a retail network. Developing that network is difficult especially before the multiple dispensaries that now hunger endlessly for product. After all who do you think has $25,000 dollars in cash to pay for 10 pounds of product? Criminals that’s who, and you had better be a skillful negotiator and a great sales person if you want to keep breathing much less make profit. Serious production means serious money from serious people, and when serious people get involved with serious money, triggers get pulled easily. In the old days it was dangerous work that involved personal security and smuggling to some degree, which means packaging was crucial. One hundred pounds of sticky icky will quickly get you arrested if poorly packaged, and like other farmed goods, stale products sell for far less than fresh. Developing odorless fingerprint free packaging was a necessity if you wanted to get your product to market. Developing a fearless determination to make a profit is born not made. I could go on and on listing all the skills you develop as a commercial cannabis grower that are transferable to so many different industries. Just the steely determination and careful planning needed to keep operating with police, jealous neighbors, organized rippers, and local teenagers all looking to discover your grow and devastate your investment requires personal qualities that any business would benefit from. As we move toward inevitable legalization we need to embrace the idea of general pardons for anyone convicted of any cannabis related charges. With considerably more than the four hundred thousand convictions added onto the books between 2006-2012, it will be a big job for the justice system to issue pardons to everyone ever convicted of cannabis related crimes, and what of the thousands of incarcerated individuals who have lost years of their lives to this unjust prohibition. Think of the inmates that have been irrevocably changed from time behind prison bars for growing or possessing a soon legal plant. How will the government of Canada compensate them for stealing their lives and falsely labeling them as criminals? Oops, sorry people what you have suffered for is no longer a crime, doh? It’s a serious question that needs to be answered as far as I’m concerned. These “criminals” of cannabis bare the deep scars that come from leading the way. Whether those scars were acquired by time in prison, or from struggling in a society that discriminates against convicted cannabis growers and users by restricting their ability to support their family. The long term consequences that come about from leading the way and doing what was right needs to be addressed as part of the puzzle of legalization. We cannot forget the sacrifices that these thousands have offered up. As all activists know, the only real way to change an unjust law is for a citizen to challenge it whatever hardships that may bring. The challengers make the change that we all benefit from. The challengers shift perceptions and force acceptance. The challengers do all the real work of activism because the results of their brave actions actually add up to change even if they are just one more number that the government has to account for. Numbers add up, and eventually crush governments flat under the weight of the injustice and discrimination suffered by the challengers. So, if you are an HR person its up to you to set a standard that discourages discrimination based on convictions from so called cannabis related crimes. Stand up and be a challenger. If your a business owner you should stand up and be a challenger by realizing the added value that can be found in an employee that has the skills developed from working as a grower in a highly competitive and demanding industry. Let us do away with moral judgments and evaluate people on who they really are. Let us recognize and validate all of these so called criminals skills, learned the hard way by running a small illegal business, and refrain from labeling the victims of this cannabis prohibition in ways that would prevent “straight” business from utilizing the amazing talent, creativity, and vision that cannabis users have to offer. Most importantly let us never forget the challengers, the victims of cannabis prohibition, the Rosa Parks of the cannabis movement. The millions of people who suffer under the injustice of it all every day. The Brave souls that struck out, forged a new path, and in the process changed the way that we view our world. The challengers who teach us to question everything, and to celebrate the sweet satisfaction of being just. It’s thanks to the challengers that we are experiencing the dawn of a new era instead of being trapped in the deep depths of a reefer madness. –Dean Schwind is a two time cancer survivor, long time commercial and medical marijuana grower, teacher, writer, musician, radio host, and activist. A proud former staff member of the Cannabis Buyers Club of Canada, he has fought on the front lines for the end of prohibition through his alter ego Sticky Kola and the infamous BC band King Bong. Raising money, changing perceptions, and generally freaking the public in an effort to help sick people gain access to the benefits of medical marijuana. Dean Schwind is a two time cancer survivor, long time commercial and medical marijuana grower, teacher, writer, musician, radio host, activist and the Managing Director at Phoenix Pain Management Society in Nanaimo B.C. A proud former staff member of the Cannabis Buyers Club of Canada, he has fought on the front lines for the end of prohibition through his alter ego Sticky Kola and the infamous BC band King Bong. Raising money, changing perceptions, and generally freaking the public in an effort to help sick people gain access to the benefits of medical cannabis. If you really need all that ..you cant be much of a grower. Anyone with some seeds and good soil can grow amazing cannabis! Been doing it for about 35 years now. Please 25.000 for 10 lbs of cannabis… Anyone play that price is getting RIPPED OFF! We should listen to our elders , not because they know it all , because they have done it all :). Transferable skills, Are the way to go, the convictions should be overturned? Employers would benefit, greatly, from older wiser peoples skills 🙂 , In all walks of Life :).